Proposal (Feinstein): Add all items below marked with an asterik * as late items by a 2/3 vote at the time and place in the agenda as proposed below. Nominations will be taken from the floor. Each nominee will have two minutes to make a candidate statement. Brief questions and answers with the nominees can occur time permitting.The voting procedure is by Instant Run-Off (IRV), using a simple majority threshold and including No Other Candidate as an option. Voting will be by paper ballot and results of the individual votes are included in the minutes. 6-1.1 The Council shall elect two Co-Coordinators, one male and one female. Within each four-year County Council term, there shall be four consecutive one year Co-Coordinator terms. The first one year term shall commence with the first meeting of the newly elected County Council and the last one shall end when the subsequent County Council holds it first meeting. The voting procedure shall be by Instant Run-Off (IRV), using a simple majority threshold, and including the No Other Candidate option, as referenced in the GPCA Bylaws (Section 7). 6-1.2 The Co-Coordinators shall be responsible for the production of the Council agenda. This includes the prioritization of and the assigning times to agenda items, as well as the appointment of a meeting facilitator(s), minutes taker and vibes-watcher. 6-1.3 The Co-Coordinators shall be responsible for the distribution of the Council agenda. Distribution will include Council members and Active Green locals, and will appear on the County web site. Co-Coordinators may work with the Secretary to accomplish this task. 6-1.4 The Co-Coordinators shall be responsible for updating the GPLAC website and may work with Secretary to accomplish this task. The web site shall include the names and official contact information of all County Council members, County Council officers; the official contact information for Active Green Locals in Los Angeles County; GPLAC Bylaws and GPLAC Rules and Procedures, and minutes of County Council and County Council committee meetings. 6-1.5 The Co-Coordinators shall serve as Co-Liaisons to the office of the Registrar/Recorder of Los Angeles County. 6-1.6 The Co-Coordinators may speak on behalf of the GPLAC, consistent with GPLAC policy, the Green Party of California state platform, and the Ten Key Values. No other Council member may speak on behalf of the County Council, without County Council authorization. Background: GPLAC Bylaws 5-2.10 Ballot Measures state that the County Council may "Endorse or oppose ballot measures appearing on the ballot in Los Angeles County” and Bylaw 9-4.2(h) states that votes that require 3/5 for approval including "endorsing or opposing ballot measures. This agenda item gives the Green Party the opportunity to discuss and take positions on ballot measures on the November 2018 general election ballot in parts or all of Los Angeles County. 8a) Endorse/Support: Charter Amendment: Authorize the formation of a municipal bank under Section 104(g) of the City Charter. 8C) Endorse/Support: Proposition 10: Expands Local Governments’ Authority to Enact Rent Control on Residential Property. Initiative Statute. Background: The GPCA platform opposed the Costa-Hawkins Act when it was originally passed and has called for its repeal ever since http://www.cagreens.org/platform/housing. Proposition 10 would repeal the 1995 Costa-Hawkins Act and allow California cities to place rent-control restrictions on newly created housing stock. Background: GPLAC members have been publicly criticized by the male GPCA spokesperson for the GPLAC's position in opposing Santa Monica Measure LV in 2016 https://losangeles.cagreens.org/press-release/pr20161018. Background: Despite two letters from the GPLAC, sent by GPLAC co-coordinator Julia Russell, the GPLAC's access to the GPLAC's data and email capabilty in the GPCA Nationbuilder data base has not been restored. However many new members of the GPCA Coordinating Committee have been elected since, making it time to revist the topic,. 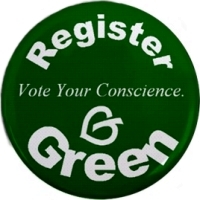 Background: Since 1994, the GPLAC bylaws have required that to be considered for appontment to fill a mid-term vacancy on the County Council, nmominees must be registered Greens within the District they wish to represent, and must also gather as many signatures of registered Greens in the district as would be normally required by the County Registrar to appear on the ballot in that district. Such appliants could be approved by a simply majority vote. However addtionally before newly elected 2016 County Council term began, the outgoing County Council amended the bylaws to temporarily also allow the County Council to fill such mid-term vacacies by an 80% vote, even if the applicant did not gather the requried 20 signatures, or even if they didn't gather any signatures at all. This was done given the weakened state of the county party, owing to issues related to the 2012 Green presidential primary and their aftermath. The feeling of the outgoing County Council was that it would be helpfu to have such option for a short period of time, because not as many Greens as normal had filed for the County Council in 2016, in part as a result of prior issues related to 2012. The County Council used this option to appoint five new members at its July 2016 meeting (https://losangeles.cagreens.org/county-council/minutes/2016-07-10), two at its August 2016 meeting (https://losangeles.cagreens.org/county-council/minutes/2016-08-21) and three at the October 2016 meeting (https://losangeles.cagreens.org/county-council/minutes/2016-10-02), after which this bylaw amendment sunset. At its March 2017 meeting, the County Council again amended the bylaws on this issue, adding an option "for the County Council meetings of March 12, April 23 and June 4, [a nominee] may gather five signatures of registered Greens in the district on a petition as defined in 8.4 and to be appointed, would need 80% approval from the County Council" (https://losangeles.cagreens.org/county-council/minutes/2017-03-12). The Council used this option to appoint two new members at its March 2017 meeting (https://losangeles.cagreens.org/county-council/minutes/2017-03-12) and two at its May 2017 meeting (https://losangeles.cagreens.org/county-council/minutes/2017-05-07). 8-3.1 Nominees must be registered Greens within the District they wish to represent, and must also gather as many signatures of registered Greens in the district on a petition as defined in 8.4, as would be normally required by the County Registrar to appear on the ballot in that district, for the purposes of being elected to the Los Angeles County Green Party County Council. Background: The GPLAC took this position in July 2016 on the Final EIR losangeles.cagreens.org/documents/2016-07-14/GPLAC-EIR-comments-4051-Alameda after previously supporting preservation of the South Central Farm back in 2006. On November 10, 2016 the Los Angeles Planning Comission denied an appeal of a lower level approval of the EIR. This agenda item will brief the County Council on efforts to appeal the Planning Commission's approval and on the campaign to persuade the owner to sell the land so that it can be converted back into an urban farm and food hub.